How long does it take to finish an Ironman Triathlon? 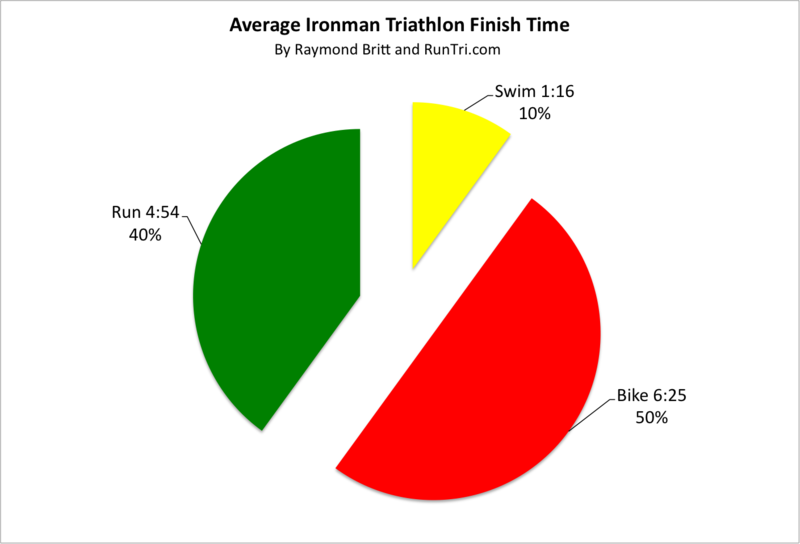 The answer, based on our analysis of more than 41,000 finishers in 25 Ironman triathlons: about 12 hours and 35 minutes for the average triathlete. Swim 2.4 miles in 1:16, Bike 112 miles in 6:25, and Run 26.2 miles in 4:54. 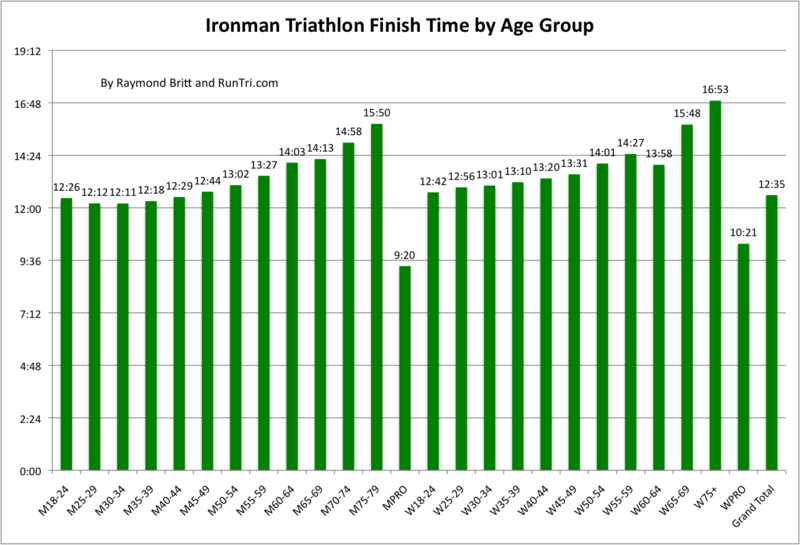 Of course, the time it takes to finish an Ironman will depend on your age. 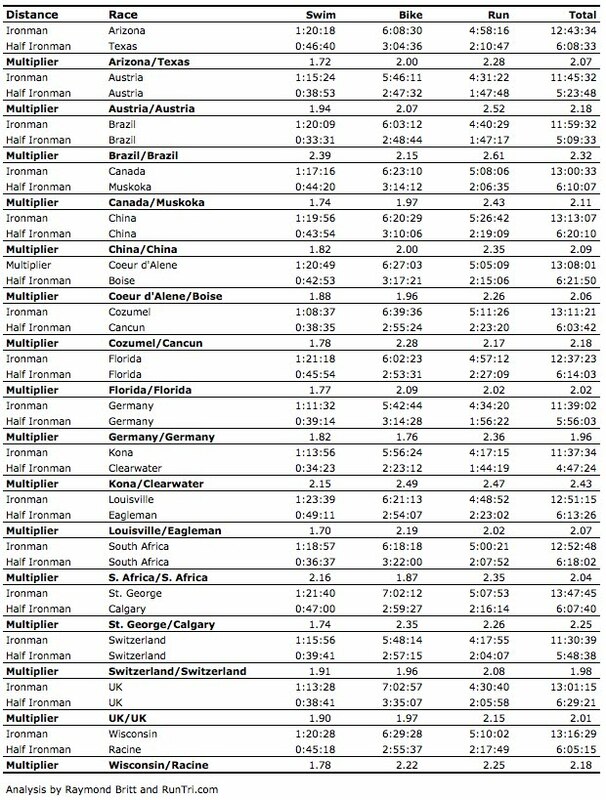 Here's the average time to finish an Ironman by age group. 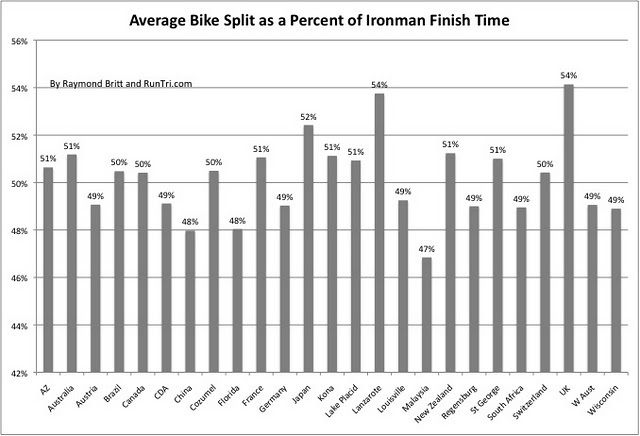 But not all races are created equal, and the time it takes to complete an ironman will also depend on the course. See our Finish Times by Age Group in 25 Ironman Triathlons analysis. But what if you're not average? What will your Ironman finish time be? Two ways to arrive at the answer. 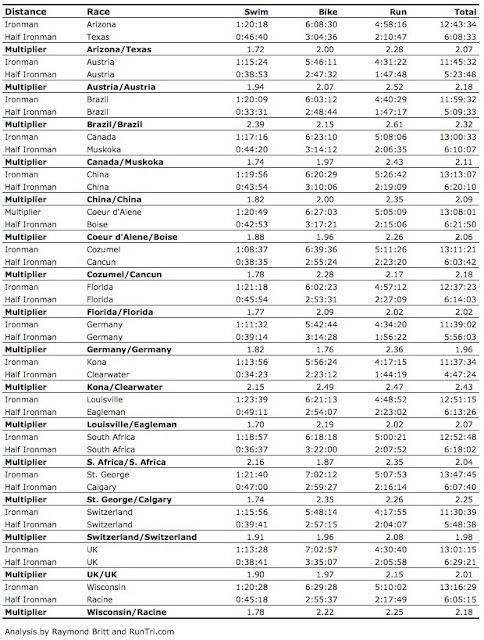 First, if you've raced a half ironman, multiply that time by 2.1 for a ballpark estimate (see our Predicting Your Ironman Time Based on Your Half Ironman Time). 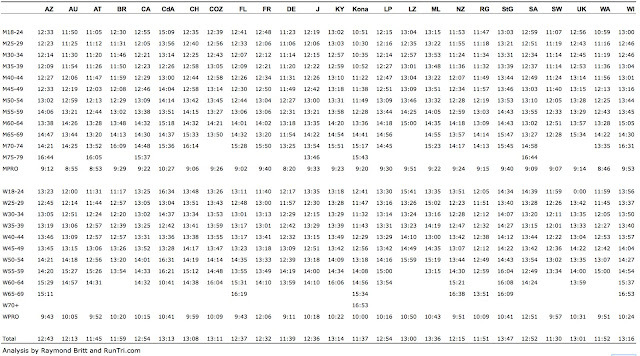 If you haven't completed a recent half ironman, your estimated bike split is the next best indicator, as it represents 50% of expected total finish time (see our 50% Rule), on average. Planning on a 6 hour bike split? Then a 12 hour finish time is a realistic target, for example. Just make sure you don't go out too hard on the bike, with too little energy left for the run. 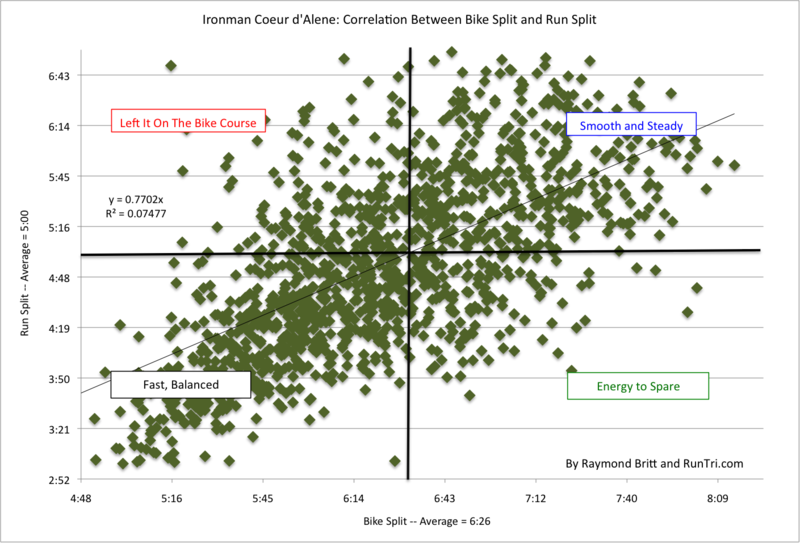 For example, see our Ironman Coeur d'Alene Bike/Run Correlation Analysis. You don't want to end up in the 'Left it on the Bike Course' quadrant. Want even more detail about specific races? 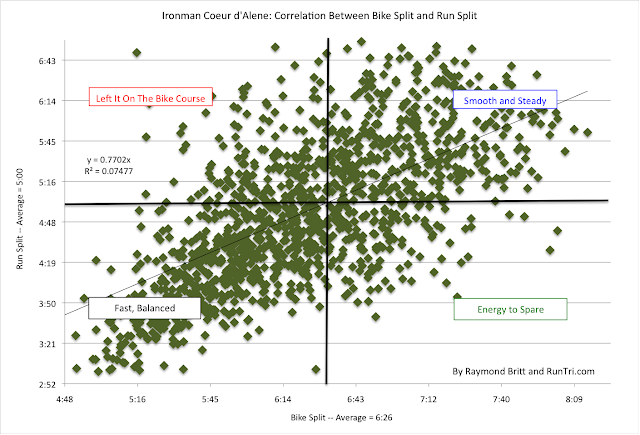 Dig into our archive of more than 100 Triathlon Stats, Charts and Analyses.